I’m a little late in sharing the last couple of recipes from the River Cottage Everyday book, but I cooked them over the festive period and they were both great. The first was another roast pork recipe, Christmas’d up with a chestnut stuffing. 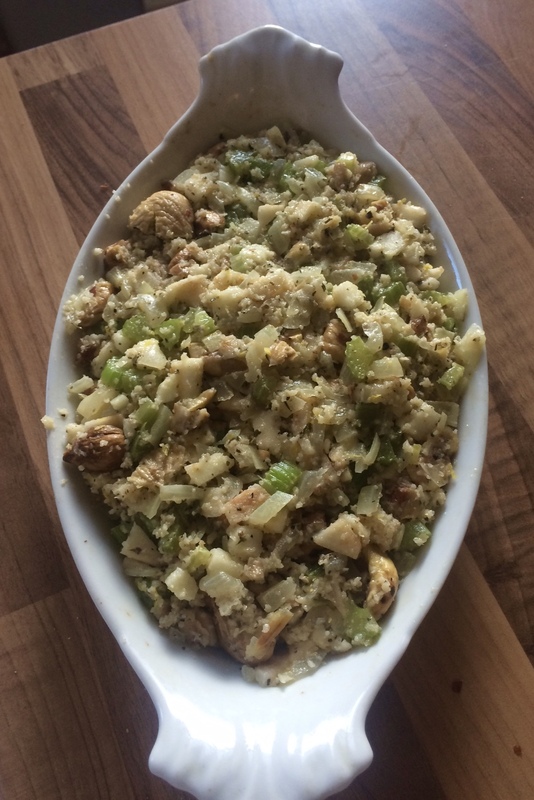 I think I’d always thought that stuffing was meat based, as we always had it from the butcher at Christmas, but the chestnut stuffing was light and breadcrumb-based, and really tasty. 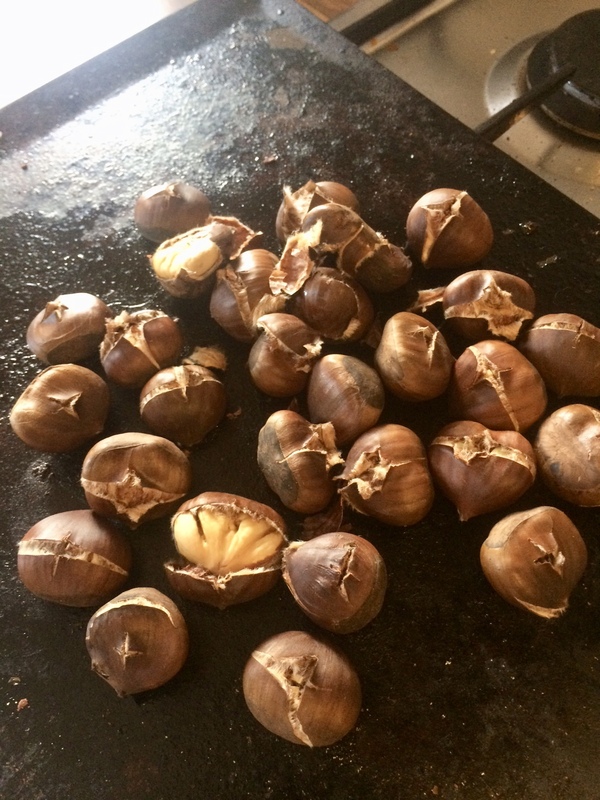 I roasted the chestnuts myself, though they’re always a bit of a pain. Pre-cooked would be just as good and much easier. The stuffing combined onion, celery, chestnuts and some chopped apple, which gave a touch of sweetness. 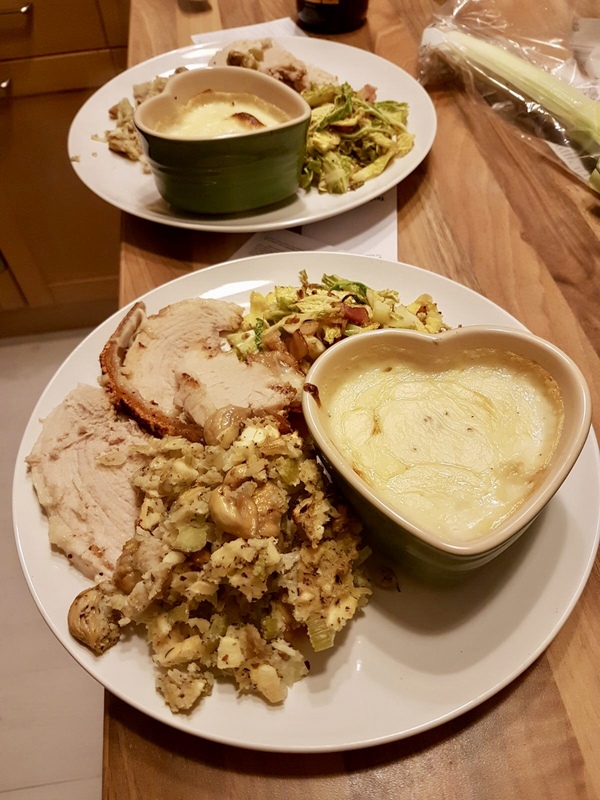 We served the roast pork and stuffing with savoy cabbage and bacon, and ‘cheesy leeks’ – the boy’s favourite that he missed out on with his Christmas dinner. The last recipe is one that I didn’t think I would do, as I wasn’t going to buy a pudding basin for one recipe. But cooking at my parents’ house over Christmas meant that I had access to a few bits of kitchen kit that I don’t have in the flat. 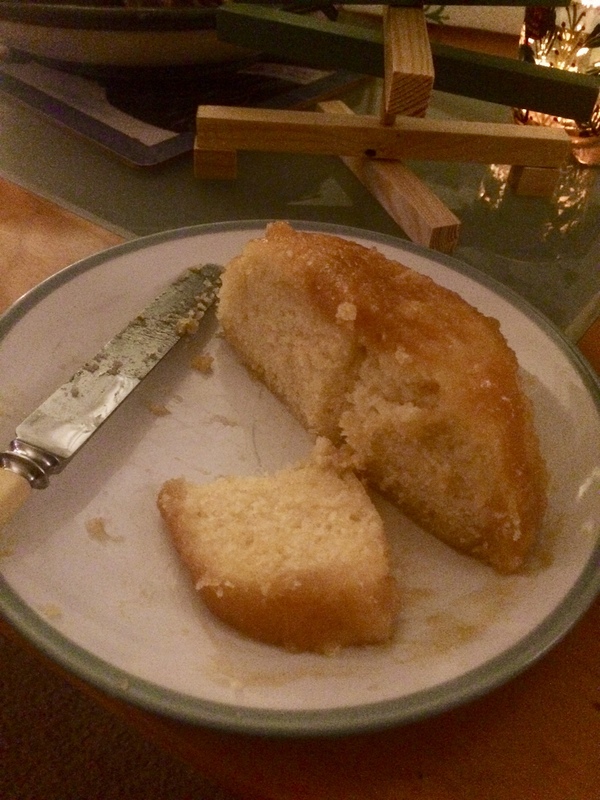 That meant that after a couple of hours steaming in a pudding basin wrapped in greaseproof paper, a lemon sponge pudding emerged. It wasn’t a looker, I’ll give you that, but at least it came out of the tin. 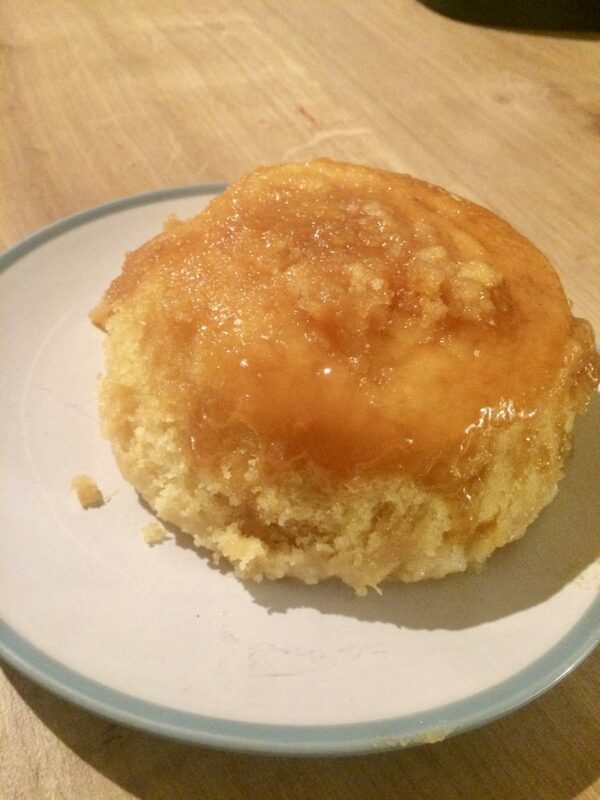 Putting a layer of sugary lemon juice in the bottom of the tin before the batter meant that the top came out almost with a sauce on it, which made the rest of the pudding nice and moist. We served it will fridge-cold double cream, as instructed.